Feeling stressed because there's so much to do everyday, and sometimes things on your to do list get missed? 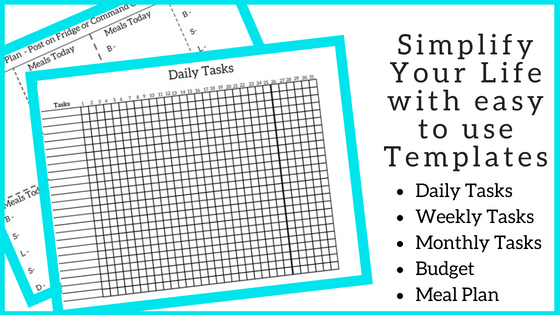 Grab these simple to use 'To Do' List Trackers (and more) to take control and get things done that NEED to continually get done! You'll also have the option to join my email list to access other printables, workbooks/ebooks, get exclusive content, and more! Get Printables Emailed to YOU! Check Your email for the 'Simplify Your Life' Templates. Don't Forget to Click the Link in the email to subscribe to my email list!